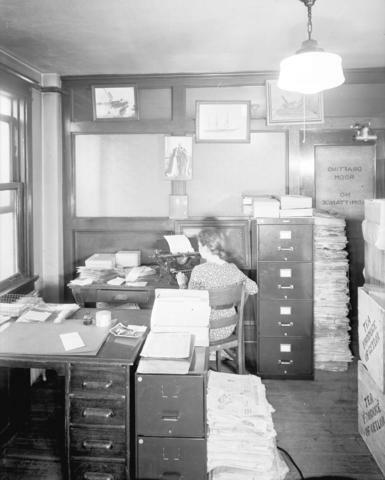 Photograph shows archival assistant Margaret Giles at typewriter. J.S. Matthews' notes with print or negative in Archives.